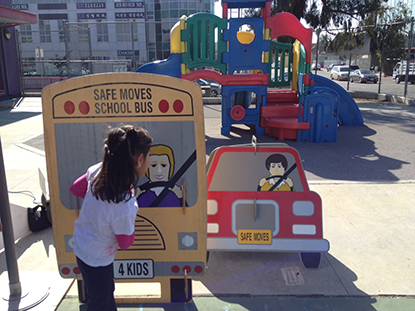 Reducing traffic-related deaths and injuries to school-aged children and teens has been the mission of Safe Moves for over three decades. 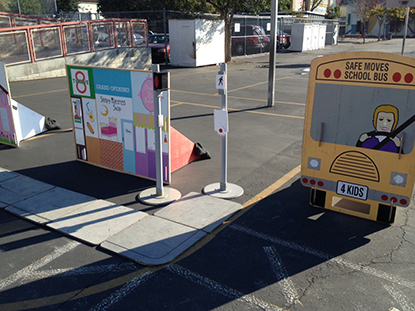 Their expertise in designing and launching programs dedicated to encouraging alternative modes of transportation to and from school, educating parents on traffic safety and helping create more walk able and bike able communities, makes them the most sought-after leader in traffic safety in California. We work closely with schools, school districts, community police and local governments to execute a variety of programs that make school environments and neighborhoods safe and more livable for children and families. Whether it’s a five-year grant to improve emissions around schools in northern California or a one-day seminar for distracted teen drivers in Los Angeles, Safe Moves will formulate a program that fills your needs and exceeds your expectations. Utilize experiential educational principles to conduct successful, customized programs. 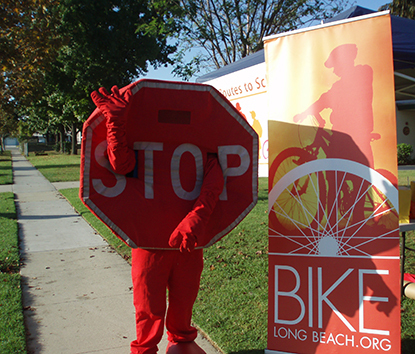 Teach parents about pedestrian safety, car seats, bike safety, toy safety, as well as health and nutrition for kids. Deliver a turnkey program. No volunteers, materials or equipment required from schools. Safe Moves provides experience, empowerment, guidance, motivation and vision, helping change behaviors and promoting well being for children, parents and communities.